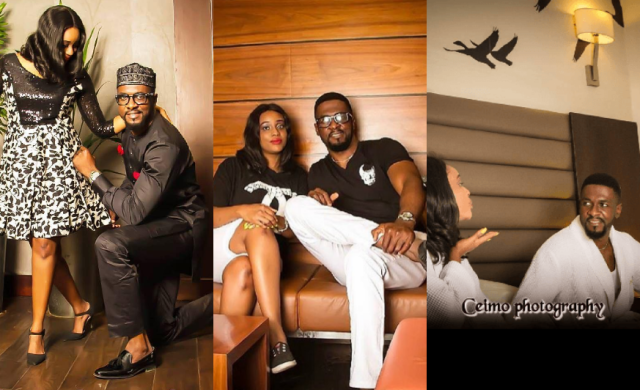 Just like some people who met their life partners on social media platforms and are happily married, Chinny and Arthurs love story is another testimony that one can meet one’s future partner anywhere. Chinny and Arthur met in a public transport and both knew from that day, that their meeting was not by mistake, it was pre-destined. I remember that hot Lagos afternoon like it was yesterday. On my way back from a long day at the office, I got into a bus at Opebi. As I moved to sit down, I stepped on this cute tall guys foot. He looked up at me, smiled and said You have to pay for that. I smiled back and sat beside him the only available seat on the bus. Destiny.Chinny. When we got to Ikeja, we both got off the bus and I walked up to her asking for my payment. We laughed and exchanged numbers, and that was the beginning of this coloured version of my life.Who knew public buses (aka danfo) were a special place to meet beautiful people? Who knew that I’d one day be grateful I didn’t drive and took a bus? Silver linings..Arthur.